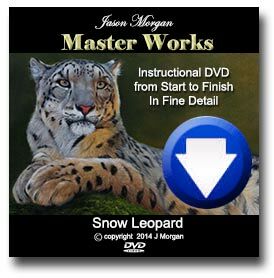 New Video – Snow Leopard Cub – Out Now! 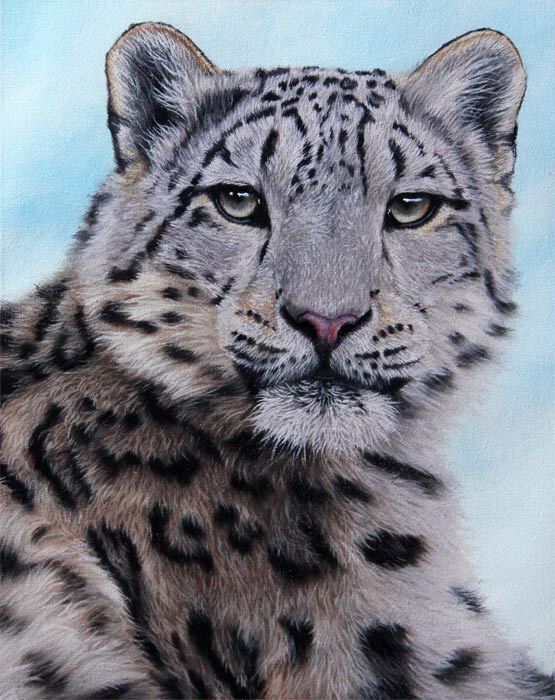 New Painting Video – Snow Leopard Cub – Out Now! 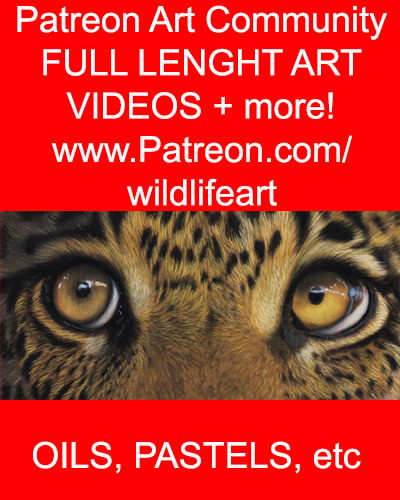 Have you always wanted to see exactly how a Professional Wildlife Artist paints a VERY realistic and detailed Big cat portrait? Well, on this video you can! Including final glazing & much more ! 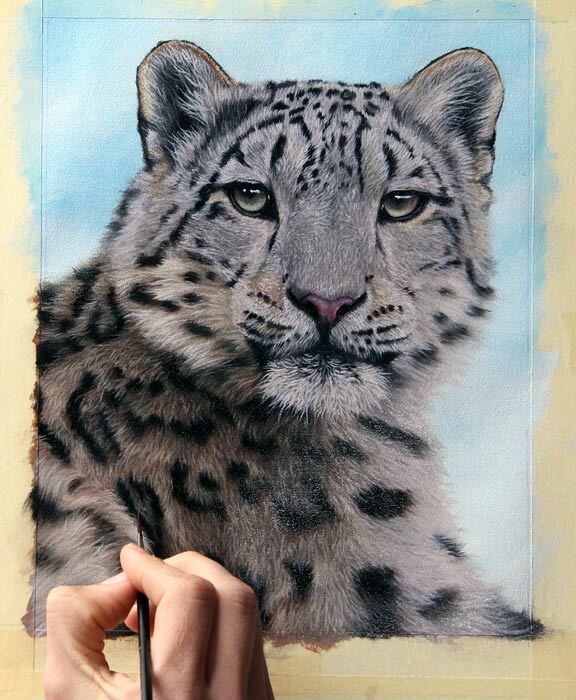 Just thought I would drop you all a post to show a tiny snow leopard painting I am working on at the moment. Its 10 x 8in oil on canvas as per usual. This 1st stage below show just how dark an underpainting needs to be, especially if you are working in layers. Too light at this stage and your next layers of paint wont show up. 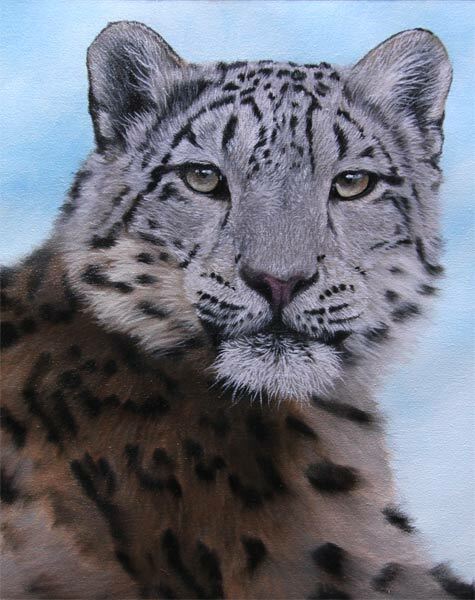 Painting fur texture (below) is really not that hard, as I show in my wildfeart eBooks, but you do need to have a plan and be methodical – it really doesn’t take that long either, with my techniques the whole face texture took about 2 hours. The photo below shows the painting 80-90 % finished. All I really have to do is add the very lightest highlights and do a few specific glazes of colour just to bring it to life. 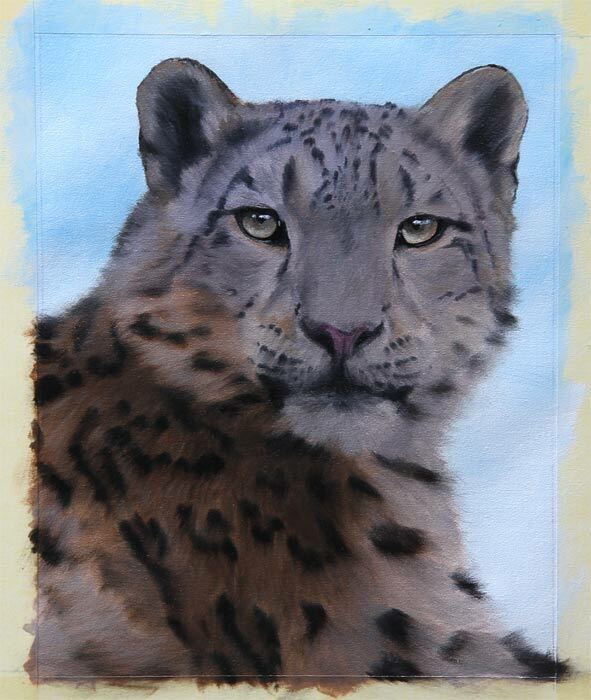 I hope you like this little study of a Snow Leopard so far.